THE VOICE: First Two Coaches Announced! UNIVERSAL CITY, Calif. – Grammy Award winner Cee Lo Green, singer-songwriter-producer, and fellow Grammy Award winner Adam Levine (Maroon 5) have been named as two of the four musician coaches on NBC’s new musical competition series “The Voice,” a show about real vocal talent. “Cee Lo Green and Adam Levine represent the essence of ‘The Voice.’ They are two of the hottest music artists right now and their voices are instantly recognizable,” stated Paul Telegdy, Executive Vice President, Alternative Programming, NBC and Universal Media Studios. Green – who is better known to his fans as Cee Lo – won a Grammy this year for Best Urban/Alternative Performance for “Forget You” (a/k/a “F–k You”). Cee Lo, a rap singer, songwriter and record producer, first became recognized as a member of the hip-hop group Goodie Mob. He later launched a critically hailed solo career. He also formed the group Gnarls Barkley with deejay-producer Danger Mouse. 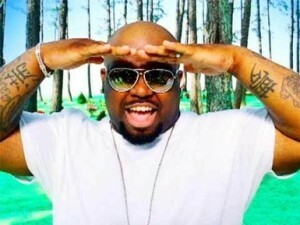 Some of Cee Lo’s best-known hits are singles “Closet Freak,” “I’ll Be Around,” “Crazy (by Gnarls Barkley) and “Forget You” (a/k/a “F–k You”) Cee Lo’s albums include: “The Lady Killer”, and “Forget You”, among others. As the front man of Maroon 5, Adam Levine is the primary songwriter of the band and a guitar player, whose talents give Maroon 5 their signature sound. The band won three Grammy Awards as “Best New Artist” of 2005 and went on to sell more than 15 million albums worldwide. Maroon 5 won over fans and critics alike with the hybrid rock/R&B sound they introduced on their debut album Songs About Jane. After that, they made double platinum album, It Won’t be Soon Before Long. On “The Voice,” four famous musician coaches – including Green and Levine — will each select singers to mentor into artists during the blind auditions. Once they have their teams, the star coaches will bring in their personal songwriters, producers, and high-powered friends to help their teams evolve. Ultimately, America will decide which singer will be worthy of the grand prize. “The Voice” will have a two-hour premiere on Tuesday, April 26 (9-11 p.m. ET).